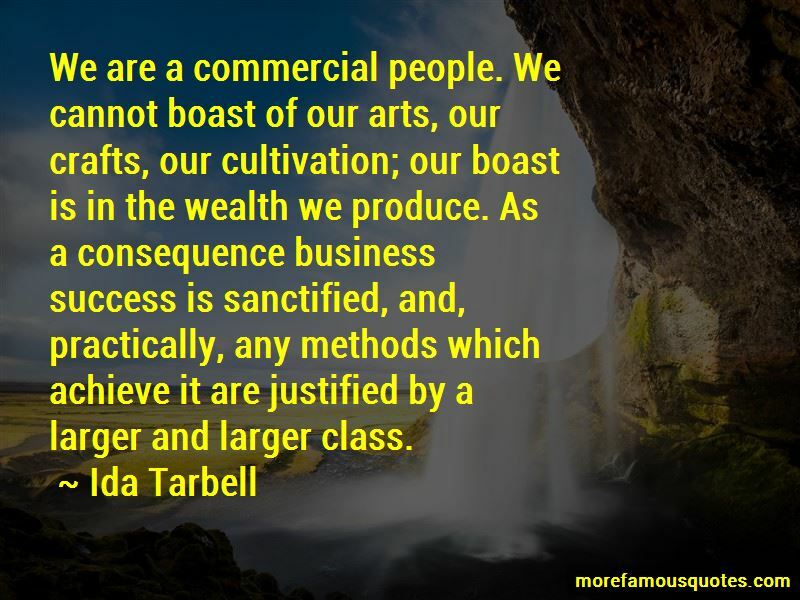 Enjoy the top 38 famous quotes, sayings and quotations by Ida Tarbell. 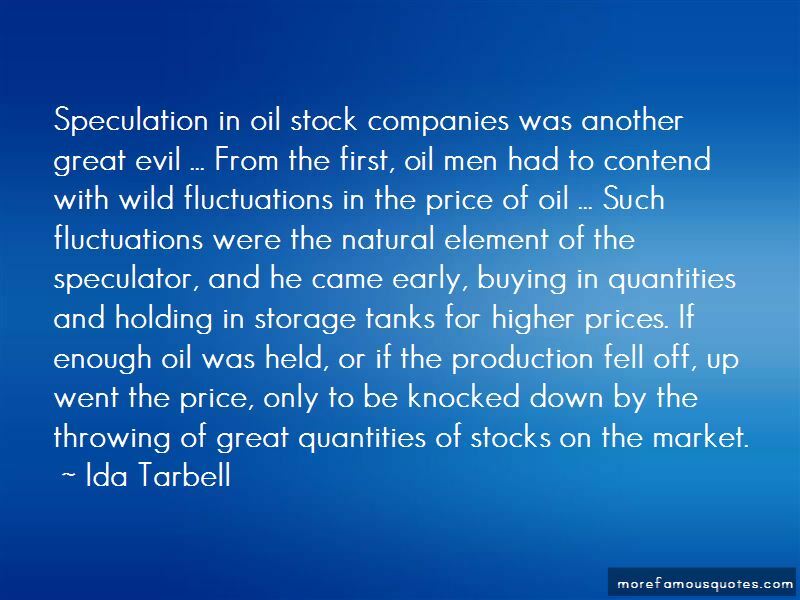 Rockefeller and his associates did not build the Standard Oil Co. in the board rooms of Wall Street banks. They fought their way to control by rebate and drawback, bribe and blackmail, espionage and price cutting, by ruthless efficiency of organization. Very often people who admit the facts, who are willing to see that Mr. Rockefeller has employed force and fraud to secure his ends, justify him by declaring, 'It's business.' That is, 'it's business' has come to be a legitimate excuse for hard dealing, sly tricks, special privileges. You cannot settle a new country without suffering, exposure, and danger. Cheerful endurance of hardships and contempt of surroundings become a virtue in a pioneer. Comfort is a comparatively new thing in the United States. The only reason I am glad I am a woman is because I will not have to marry one. The surprise of the fight on the long day, of the experiments with the shorter one, has been not only that the business could stand it, but that the business thrived under it as surely as the man did. It is but another of the proofs which are heaping up in American industry to-day that whatever is good for men and women - contributes to their health, happiness, development - is good for business. My whole theory for the improvement of society is based on a belief in the discipline and the education of the individual to self-control and right doing, for the sake of right doing. I have never seen fundamental improvements imposed from the top by ordinances and laws. The quest of the truth had been born in me - the most tragic and incomplete, as well as the most essential, of man's quests. It is not alone that justice is wounded by denying women a part in the making of the civilized world - a more immediate wrong is the way the movement for a fuller, freer life for all human beings is hampered. 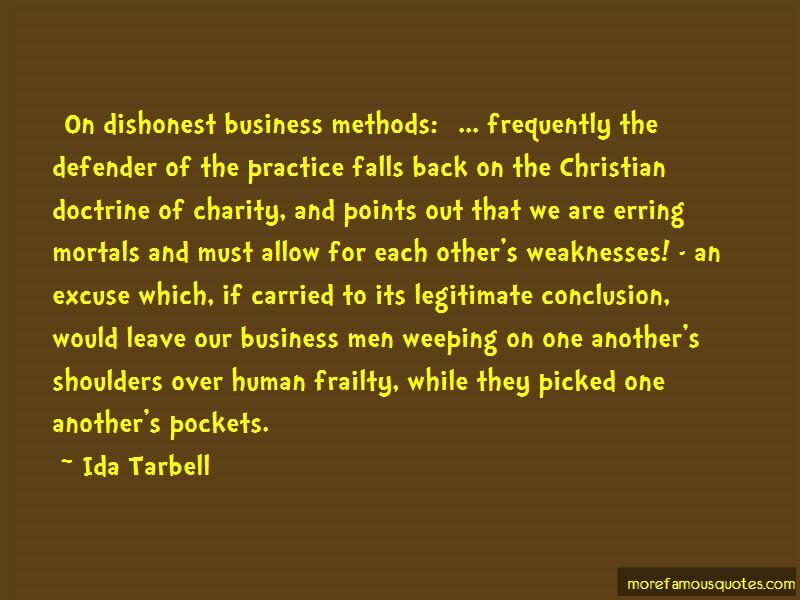 [On dishonest business methods:] ... frequently the defender of the practice falls back on the Christian doctrine of charity, and points out that we are erring mortals and must allow for each other's weaknesses! - an excuse which, if carried to its legitimate conclusion, would leave our business men weeping on one another's shoulders over human frailty, while they picked one another's pockets. There is no more effective medicine to apply to feverish public sentiments than figures. Many men ridicule the idea that it can be scientifically handled. They tell us the unemployed have always been with us, and always must be. It is the oldest reason in the world for tolerating injustice and misery. Want to see more pictures of Ida Tarbell quotes? 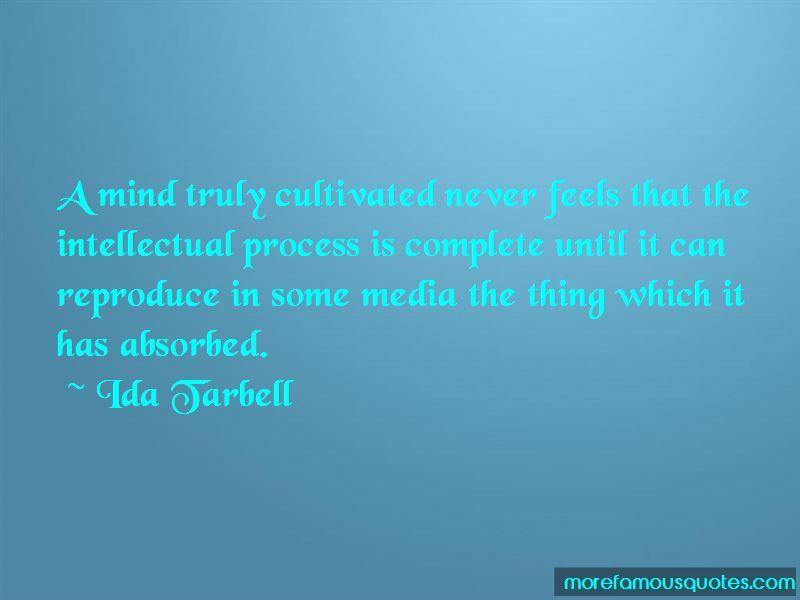 Click on image of Ida Tarbell quotes to view full size.